Our Lady of Igorevskya is taken from a Russian icon of the late 16th century. 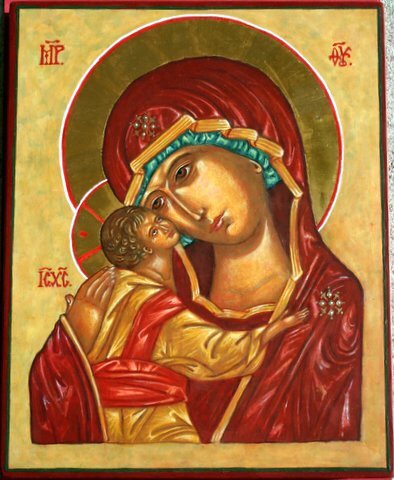 It follows the traditional pattern for icons of the type known as Our Lady of Tenderness. SKU: IK9. Category: Hand painted icons.